From name tags to custom ribbons, all we want is to celebrate Christmas in style! While it’s all about personal identification 364 days of every year, for one fleeting day it’s about socializing and stuffing ourselves full of delicious food. And, this Christmas is no exception! Here at Coller Industries, we pride ourselves on our high-quality workmanship, our culture of quality and our perfect name tags and ribbons. And, while we like to boast about our less than 0.05% error rate, we also want to boast about our nearly perfect employees. All in all, Coller Industries strives in every way possible to get each order not only out the door quickly and efficiently, but correctly! And our low error rate proves this, not only to us but to our current and potential customers. Having a low error rate increases sales and increased sales translate into happy customers. And with happy customers, Coller Industries remains in business to continue to serve everyone and their personal identification needs! And, part of this happiness needs to extend to our family here at Coller Industries. 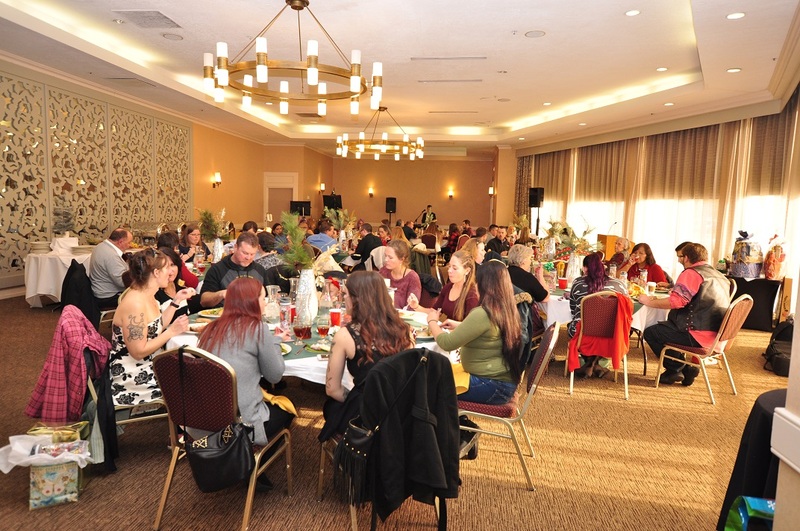 Our annual tradition of the Christmas party includes a giant luncheon hosted and catered at a local hotel. This year’s meal included prime rib, chicken, salmon, asparagus and other sides for a feast fit for a king. There were also delicious appetizers of crackers and spinach dip with prosciutto wrapped asparagus. 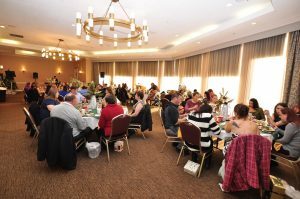 We also played games and gave out prizes for raffles. From a holiday word scramble to trying to remember who had played the jolly man in red, the games were a blast and the presents even better. 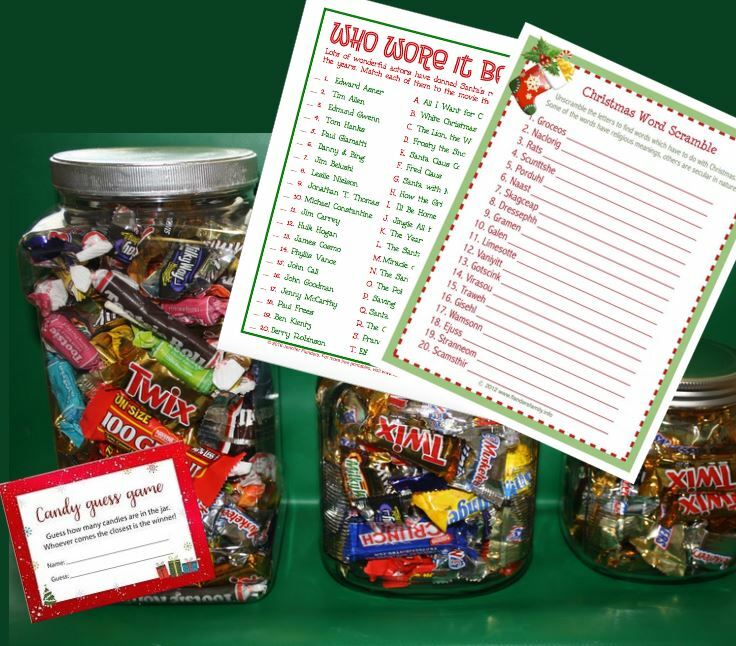 And, every year each employee receives a personalized gift from Coller Industries. This year was a water bottle decorated with the CI logo which was full of candy. We also got a custom embroidered jacket with the CI logo. 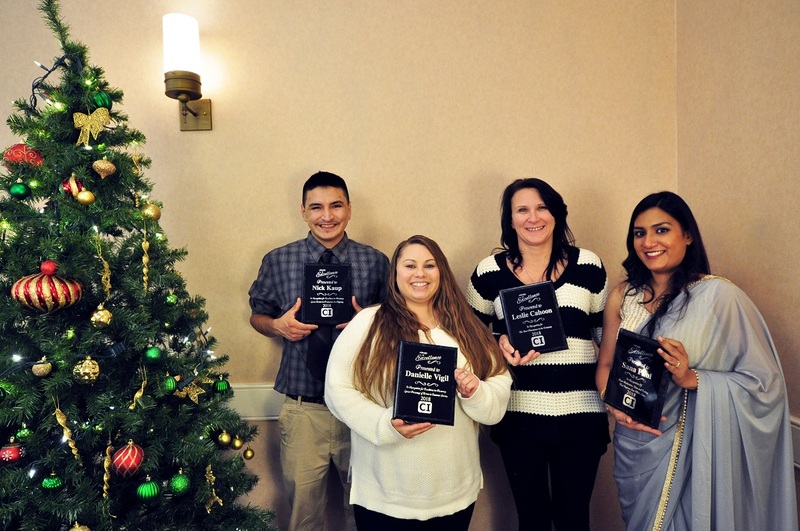 This year we also had a special treat and recognized the hard work of several employees. 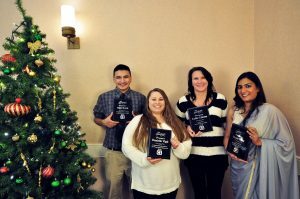 From perfect attendance to most efficient, each of these employees received one of our new custom plaques engraved with their specific talent and name. We just want to say thank you to everyone who works for Coller Industries. 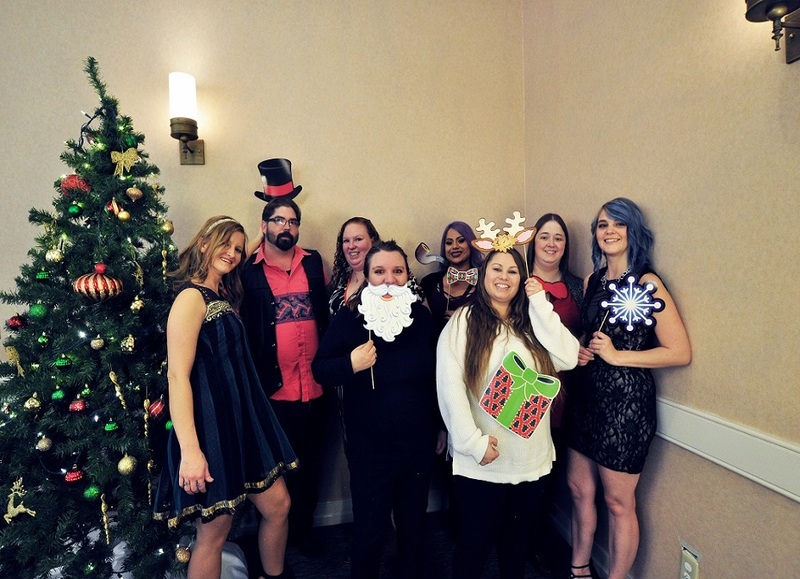 We wouldn’t be where we are today if it wasn’t for our wonderful employees. 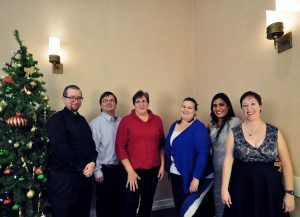 And, to all of our customers, have a Merry Christmas and a happy holiday season! 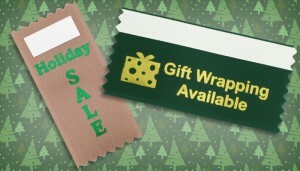 Did you know that business ribbons benefit all companies during the holidays? Whether you own a small, online business or are a manager at a large chain store, holiday business ribbons are a great tool to keep around. But, finding the right ribbon can be a challenge sometimes. From tying bows to decorating your office or store, holidays are meant to be synonymous with ribbons! And, we are here to make your business ribbons a bit easier to use. 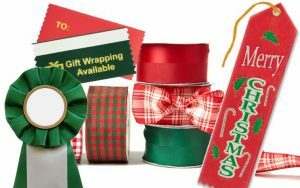 While it may seem easy to come up with ideas for ribbon use, some holidays can be a bit daunting, especially when it comes to business ribbons. When thinking about Halloween, Thanksgiving, Christmas and other holidays toward the end of each year, here are a few quick ideas to get your creativity going. From fun greeting ribbons at the front door to goodies for trick-or-treaters, personalized business ribbons are perfect for any store or office on Halloween. Use badge ribbons as gift tags on treats for employees, customers and other visitors you might have. 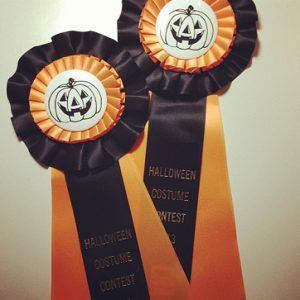 Or, use custom top ribbons to announce your Halloween office party. Is your company having a costume contest? Rosette ribbons are perfect for that first prize winner. Use your business ribbons for remembrance and awareness ribbons on this unique holiday. While most people don’t think about how a business can use ribbons for Veterans day, here are some great ideas. Hold a sale for those who have served. Give everyone a badge ribbon as they enter your store with information on how to get a veteran’s discount on your goods or services. Or, give a gift to each veteran shopping today that is tied with your custom business ribbons. From potluck labels to being thankful for a job well done, personalized ribbons are perfect for Thanksgiving. Use rosette ribbons for awards around the office and to show how much you appreciate your colleagues. 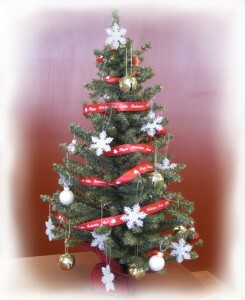 Custom ribbon rolls are perfect to decorate your office or store and keep everyone in a festive and happy mood. Whether you’re an e-commerce company celebrating with a sale or a storefront with a larger on-site event, these two days are probably your most significant events of the year. And, business ribbons are here to help with these celebrations. Give gifts to the first 100 customers in your store or on your website that day and tie them shut with a personalized ribbon bow. Or attach a badge ribbon with your logo as a reminder of where they got their product from. If you have a storefront, hold a raffle using blank badge ribbons the customers can write on. Do you have a goody basket sitting on the receptionist’s desk for anyone who walks in the front door? Give your visitors an extra special treat with a gorgeous ribbon bow tied to the basket. Pick out a ribbon color that matches your office decor, or choose one that goes with your corporate logo. But no matter how you use ribbons for this holiday, one thing should always be on your mind. Keep it light and festive, and make sure to include everyone. From office and corporate gifts to company parties, ribbons are perfect for these occasions. 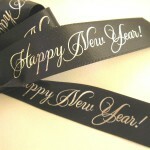 Celebrate your employees and the new year with custom business ribbons. Give personalized awards to colleagues who have outstanding job performance. Or, have people write on blank ribbons to make predictions about what will happen in the coming year and then read them aloud in each department. No matter where and when you use your business ribbons, always remember to keep them simple and keep your branding on point! It’s never too early to plan for your Christmas and holiday ribbons, and July is a great time! Yes, we just said Christmas, but we also know how commonly ribbons are used during the holidays. From wrapping presents to decorating for a holiday party, ribbons are essential. And, although it may be only July, it’s always a good idea to get your ribbon order in early. 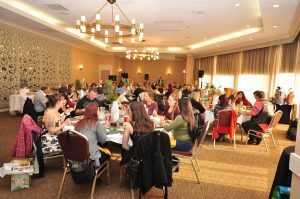 Add names, dates and many more details about your holiday plans to each customized ribbon choice. From ribbon rolls to rosettes, use all of our ribbons for Christmas and other holiday needs. And, here are some great recommendations for your ribbons. Use ribbon rolls for more than wrapping. Yes, ribbon rolls are perfect for making every present under your tree sparkle with personality. However, there are so many other uses for these fantastic ribbons. Use them for decorating the tree to adding charm to any other decor around your home; personalized ribbon rolls are advantageous for many uses. And, don’t just limit your ribbons to decorating for the holidays! Red, white and blue ribbons are perfect for July. So while it isn’t for your Christmas needs, July holidays count too. Then reuse those red and white ribbons for your holiday fun. From rosettes to badge ribbons, everything can be just as festive as you are. While rosettes are used for fair and festival awards during July, they are just as useful during the holidays. Rosettes are a unique way to decorate. Use them on your tree or for unique markers for stockings and table settings. Rosettes are a classy way to let someone know you care. And, badge ribbons are perfect for almost anything! Use them as name tags on presents or make unique additions to a table centerpiece. And, blank badge ribbons are great for holiday parties and other events. Have guests write on them for games or have raffles with these fun ribbons. But no matter what your July brings, don’t forget to get a jump start on your ribbon order! After creating your custom signs, use personalized ribbon rolls to hang them. Decorating for the holidays just became easier! Are you one of those people who prefer to decorate with a theme or use uniformity in your colors and style? 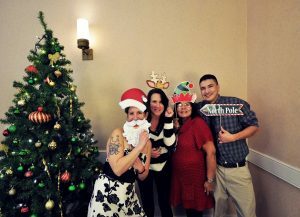 Using engraved holiday custom signs is a great way to keep a theme going. And using personalized ribbon rolls to hang them takes it one step further. 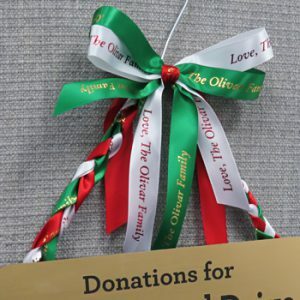 From choosing your favorite holiday color and text to making a unique colorful statement, designing ribbons to go with your Christmas decor is sure to make everyone smile. Just add your favorite carol lyrics, or any other festive text, to a holiday ribbon and hang a fun themed sign on your doors and windows. Or, use that same ribbon to hang ornaments on your Christmas tree. Here are three great tips for hanging your custom signs and decorations this year! Try to keep your ribbons as flat as possible, and just start braiding. Remember that your ribbon length will shorten as your braid gets longer, so either pre-measure with that in mind or work directly off your ribbon rolls. Secure the braid with a small, tight knot once your braid is long enough. 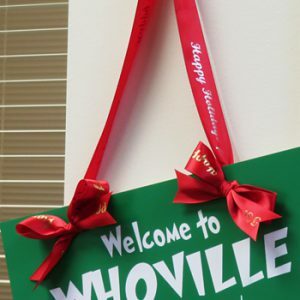 Once this is complete, attach your ribbon to the back of your sign or other decoration with double-sided tape. Want something a bit more decorative? Take two of your ribbon colors and make a big circle with the long ends sticking out from underneath. Then take the third ribbon color and tie it around the middle of that circle and the top of the braid. Doing this will make a bow without a lot of trouble. The ends of the third ribbon color will get used as a tail with the other colors. Using this option will require pre-drilled holes in your custom signs. However, the effect is something quite extraordinary! Measure out the length of ribbon that is necessary to hang your sign. Make a loop with each end of the ribbon and stick one end through each hole in the sign. Pass another piece of ribbon through the loop and tie that ribbon into a bow. This bow can be any size you would like. It can also be another ribbon color to add to your festivity. Then, tie the loop shut on the backside of the sign, and hang. This decorative option is super simple! Just run custom ribbons along the bottom of your sign and trim them to the length you want. We have alternated colors to add a little extra pop and style. Personalized ribbons are perfect for hanging almost anything, especially custom signs. Display your favorite holiday pieces using any customized ribbon roll this season. 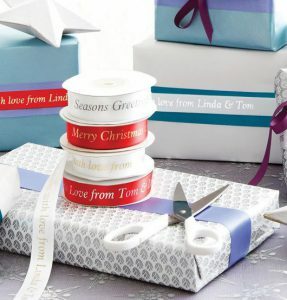 Making your holiday traditions outshine others with personalized ribbon rolls! With the holidays only weeks away, we are all turning our focus to the gift giving and the feasts with family and friends. Well, this year, why not make those traditions a bit more special with custom ribbon rolls. From celebrations to awards, custom ribbon rolls are extremely versatile. Each ribbon roll selection can be customized to meet any need by adding text or logos. Ideal for weddings, holidays or other events for decorations and floral arrangements. Add your personalized message and tie them around bags and boxes when giving gifts. Ribbon rolls make great award or awareness ribbons. Customize a ribbon roll of your choice with your message and simply cut them to the length you like and present them to be worn or displayed. Ribbon rolls are perfect for wrapping, decorating and so much more! We have several styles to choose from to match your needs. Satin ribbon rolls are relatively inexpensive and are perfect for gift wrapping. Choose from single or double faced depending on how shiny and smooth you want them to look. And they are just simply lovely on those gifts under your Christmas tree this year! DYNA floral satin ribbons rolls have a slight sheen and a supple, satin feel. This ribbon is easy to tie and knots very well. As such, they are perfect for bows, wrapping gift boxes and using on floral arrangements and table centerpieces. Chiffon-Organza ribbon rolls are lightweight and translucent. These are 100% nylon and are a unique choice for ribbons. As this ribbon is lightweight, it is easy to work with and provides an elegant, iridescent finish. While these are ideal for offsetting colors of wrapping paper, don’t underestimate how versatile they can be! Try wrapping them around your Christmas tree for a quick, sheer decoration. Or simply hang them from your favorite wreath. While these are only a few quick ideas, and we didn’t feature all of our available ribbons, we hope that they get your creative juices flowing! Personalize your custom ribbon rolls today before the holidays are over! And, we always love hearing how you’ve been using your personalized ribbons! Please make sure to share your favorite holiday traditions below. And even better if you include ribbons in those traditions!